A random robbery in 2007 nearly took the life of a Michigan college student who was shot in the stomach and had to fight for survival. It was a painful road, but one that forced Kevin Morton Jr. to rethink his purpose — and seek inspiration in the healing hands that made him whole again. 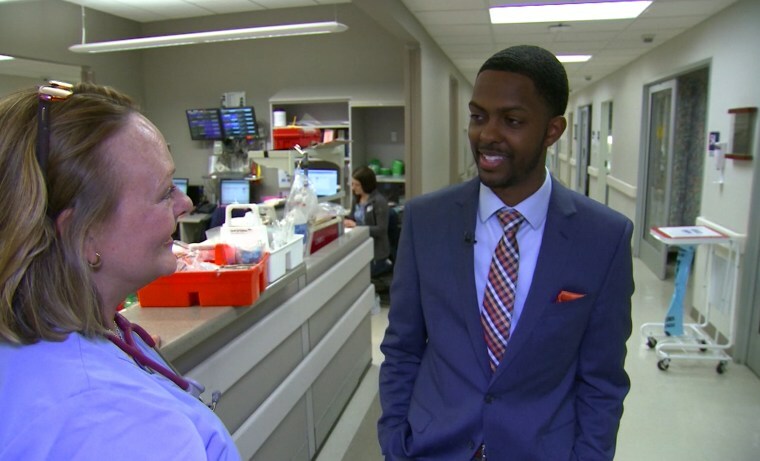 Morton, 31, found his calling to become a surgeon thanks to Dr. Dharti Sheth-Zelmanski, who was in the trauma unit at Detroit’s St. John Hospital nine years ago. The path he is now on, the newly minted doctor said, is a mission to help others — just like he was. "The compassion and drive that Dr. Sheth has shown in trying to save my life ... I just wanna pay that forward," Morton told NBC News. But rewind to when Morton was 22, studying at Oakland University in Rochester and working nights at a Detroit Arby's. He had just closed up the restaurant when a man stepped out of the shadows as Morton was getting into his car. The would-be robber fired at him, and a bullet pierced Morton's abdomen. He had a 10 percent chance of surviving through the night, doctors said. Sheth-Zelmanski got a call for a Code 1 trauma patient that night. Doctors prepared Morton's family for the worst. "Whether we call it intuition, experience or a miracle ... we put some extra sutures in and the bleeding stopped," Sheth-Zelmanski recalled. Morton's life was saved. He had plans to graduate from school and go into the pharmaceuticals industry, but that all changed when doctors at St. John Hospital gave him another chance. He spent 50 days recovering there. Now, he will be starting a residency as a doctor at that very same hospital. Looking back, Sheth-Zelmanski is amazed at how far her patient-turned-protégé has come. He has a wife, a daughter, and a job where he can give others hope because of the miracles of medicine. Kevin Tibbles is an NBC correspondent based in Chicago and is a regular contributor to "Nightly News with Brian Williams," "TODAY" and "MSNBC." Prior to joining the Chicago bureau, Tibbles was a foreign correspondent for NBC News based in London. His extensive foreign and domestic news experience includes reporting from warzones in Iraq, Bosnia, Afghanistan and Rwanda. Kevin has covered breaking news for NBC from the streets of London during the funeral of Princess Diana to the flooded wards of New Orleans with hurricanes Katrina and Rita; and has brought viewers a unique, personable insight into world events as they impact everyday lives. He was stationed in Chicago's Grant Park for the historic 2008 election victory of Barack Obama. He has been honored with four Emmy Awards. Three for Outstanding Coverage of Breaking News for his reporting on the devastating floods in Mozambique in 2000, the Israel-Lebanon conflict in 2006 and the 2008 collapse of bailout talks in the financial industry. Tibbles also shared in the Emmy for Live Coverage of a Breaking News Story-long form for his participation on the NBC News Decision 2008 Election Night broadcast. Kevin is also the recipient of the Overseas Press Club Award, the National Headliner Award and an award from the National Association of Black Journalists. He has been a part of NBC News Olympic coverage from the Winter Games in Torino and Vancouver; and the Summer Games in Beijing. As a native Canadian, Kevin's reporting from Vancouver introduced the NBC audience to Canada's passion for hockey featuring interviews with Prime Minister Steven Harper, commentator Don Cherry and Wayne Gretzky. He also reported on the unique relationship Canada shares with it's American neighbor to the south; and has told the story of ordinary Canadians honoring their war dead along the Highway of Heroes. His work from Iceland, Thailand, Panama, Dubai and beyond has been featured on the popular "Today" series "Where in the World is Matt Lauer;" and he has interviewed a colorful list of newsmakers that includes Tony Blair, Mikhail Gorbachev, General David Petraeus, Winnie and Nelson Mandela; and the father of hijacker Muhammad Atta, who he tracked down in Cairo in the immediate aftermath of 9/11. 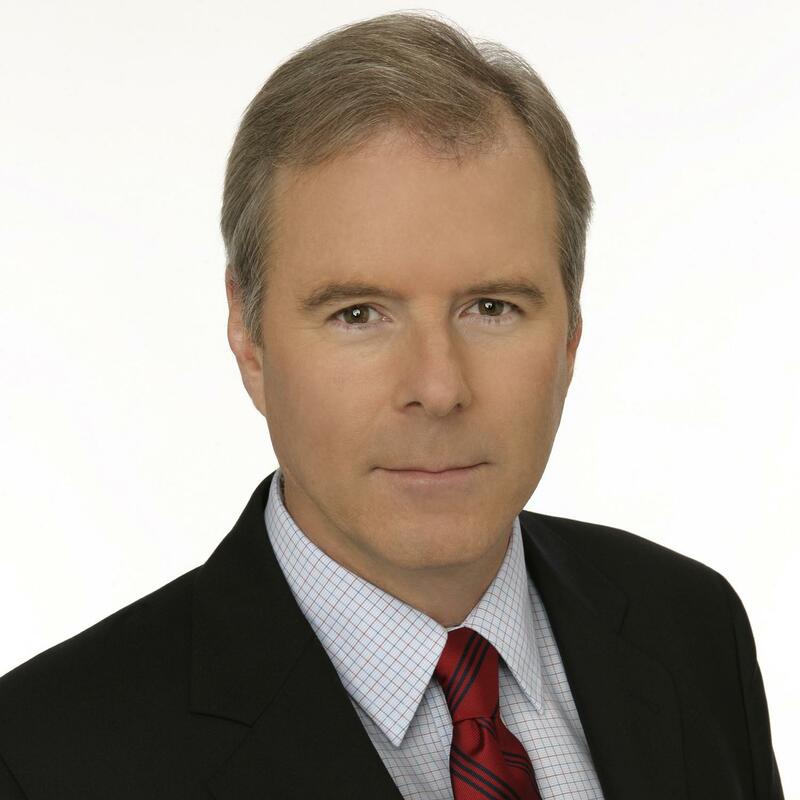 Before joining NBC News, Tibbles was a national correspondent for the Canadian Broadcasting Corporation (CBC), where his coverage experience included Germany following the fall of the Berlin Wall and the first Gulf War. He holds a Bachelor of Arts degree in Journalism from Ryerson University in Toronto.